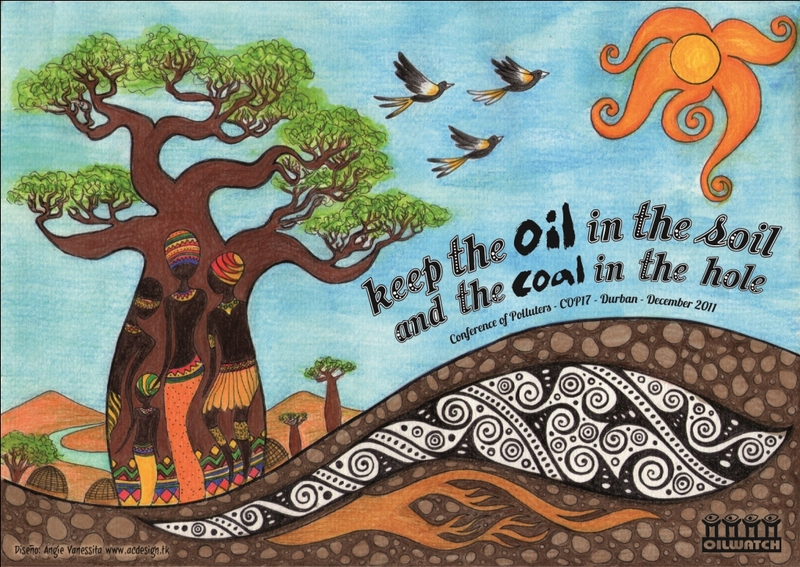 Resources Archives - Climate Justice Now!Climate Justice Now! downloadable pfd with basic cop17 relevant information for delegates and civil society. Fairly broad, and includes standard tourist infomation. This ppt was presented at the Gandhi trust annual conference, focused on climate change. It details South Africa’s toxic legacy, inequitable energy access and polluting industries. the Rights of Mother Earth to establish harmony with nature. This image, by the fantastic Vanessa and we’re using everywhere. Please distribute through your lists. Feel free to reproduce, but please credit the artist. ‘Keep the oil in the soil and the coal in the hole’. this message supporting supply side mitigation and against new and old frontiers in fossil fuel extraction is one all climate activists can get behind. There are two main treaties governing global climate change action, the UN Framework Convention on Climate Change (UNFCCC), which was part of the package of environmental treaties that was adopted in Rio in 1992 and entered into force in 1994, and the Kyoto Protocol (KP), which is linked to the UNFCCC and was adopted in 1997. The KP entered into force in 2005.